The dangers of killing the National Commission on Forensic Science. His decision to kill the National Commission on Forensic Science betrays a lack of understanding about how to assess good evidence. DOJ is not a science agency and thus not the ideal place to address core scientific issues. Photo illustration by Slate. Photos by Zach Gibson/Getty Images, Thinkstock. Science and the law are not natural partners. Science seeks to advance our understanding of the natural world. The law is tasked with ensuring public safety and making sure justice is properly served. Over time, science became another tool available to the legal system to pursue those goals. During recent years, though, problems with some aspects of forensic science have come to light. Examples include false convictions based on faulty fire-scene and burn-pattern analysis and on bite-mark analysis, incorrect fingerprint identification and instances of misconduct in forensic labs. Recognizing these shortcomings has led to various efforts to propel forensic science forward, helping us recognize which parts of it are scientifically valid, which parts aren’t, and where more research must be done. 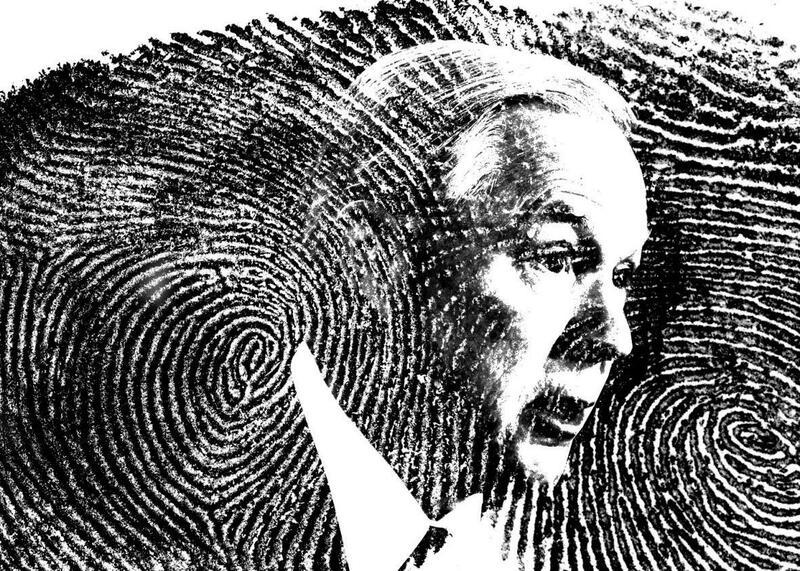 This month, Attorney General Jeff Sessions ended support for the National Commission on Forensic Science (NCFS). This federal advisory board was charged with making recommendations “to enhance the practice and improve the reliability of forensic science.” Sessions didn’t renew the charter of this independent group, instead announcing other steps to be taken within the Department of Justice. DOJ is not a science agency and thus not the ideal place to address core scientific issues. The department is staffed with dedicated public servants and exemplary forensic scientists, but the independence of science (real and perceived) remains a concern. The loss of the NCFS, of which I was a member, disrupts our work to help forensic science come of age and to insure the scientific validity of all its subdisciplines—a desirable outcome for its practitioners, the legal system, and all of us who are served by it. A number of practices in forensic science require additional scientific scrutiny and validation. Indeed, any scientific method or practice requires periodic review and update to keep pace with developments in the field. In 2009, the National Research Council published its “Strengthening Forensic Science in the United States: A Path Forward” report, which spelled out the discipline’s shortcomings and made numerous recommendations on how to improve and support it. These included creating an independent federal entity to address the many needs of the forensic-science community including more research, assistance with accreditation, and increasing scientific rigor. The report had the misfortune of being published during the Great Recession, when the appetite for creating a new federal entity was subdued at best. Other efforts were launched on smaller scales, one of which was the National Commission on Forensic Science, which met for the first time in February 2014. As a forensic chemist who works in academia, I was honored to serve on this body, which was jointly supported by the DOJ and the National Institutes of Standards and Technology (NIST). The NCFS was the first national-level group to bring together the full range of stakeholders in the forensic-science universe: judges, lawyers (academic, prosecution and defense), victim advocates, law enforcement agencies, forensic laboratory directors, DOJ and NIST scientists, forensic practitioners, and academic research scientists. Such breadth and depth of representation at the national level was unprecedented; these groups have sometimes been accused of talking past, rather than to, each other. For this group to come to consensus on more than 40 recommendation documents attests to their hard work and dedication. Science advances via experimentation and observation, hypotheses, peer review and publication, collaborative research with students, and testable theories. Science values—cherishes—progress and forward movement. What we know today may be proven wrong tomorrow—and that would be celebrated as innovation and progress. If I dropped an apple and it soared upward to disappear into the clouds, Isaac Newton would be the first to say “Cool!” (or the 17th-century equivalent) right before he tried to replicate the experiment, worked to understand what happened, why, and to incorporate what he learned into a new and improved theory of gravity (a predictive model) that could be tested and revised again and again as the data dictated. The law is a different beast. The American legal system utilizes the adversarial system: Both sides in a case present arguments as to the merits of their positions before the entity that will be settling the matter (the trier-of-fact such as a judge or jury). Past decisions, known as precedent, are the foundation of this process; as science leans forward, the law leans backward. Of course, this doesn’t mean the law is backward. As a philosophy, the law places a different measure and meaning on precedent than does science. To oversimplify, science builds on prior knowledge, while the courts defer to it. Forensic science as a field has roots both in medicine and in law enforcement. Some subdisciplines emerged from academia; others followed the science track to enter forensic practice. Still others were developed to assist law enforcement. As the work evolved, it was law-enforcement personnel who undertook many of the associated analyses and testimony. Therein lies the source of much of the current controversy and concern. The forensic disciplines that weren’t born in the world of science didn’t from their inception go through the crucible of scientific methodology and review. This does not mean they aren’t useful or valid; however, they must be demonstrated as such. If put forth as scientific, these practices must pass scientific scrutiny in the present day. As an example, fingerprints have been used for identification and legal purposes since the early 1900s. The decision to admit fingerprints to court as evidence in 1911 was made based on the adversarial system and judicial arguments; it didn’t stem from scientific debate and certainly not from 21st-century scientific standards. Scientific scrutiny is an ongoing process, not something done once and settled. This applies to every forensic-science practice, from DNA to pattern evidence. Admissibility is not synonymous with scientific validity. Yet this distinction is not always made clear nor clearly understood by those involved with the court system. The validity of using bite marks as identifiers has been debunked. Yet some courts still admit such evidence, and false convictions involving bite marks continue to be reversed, often because of DNA analysis. Without clear statements of the lack of scientific validity, admissibility often falls back on precedent. One of the goals of the National Commission on Forensic Science’s Scientific Inquiry Subcommittee, which I co-chaired, was to encourage and emphasize more work on scientific validation for the forensic disciplines. I don’t know a single forensic scientist true to her roots who has any problem or concern about independent assessment of the validity of her disciplines. This is the essence of being a scientist. We also asked that the National Institutes of Standards and Technology evaluate these questions where needed. Doing so will provide the field with peer-reviewed literature spelling out what’s legitimate and what remains unsupported. We need clear statements of the scope and limits of forensic methods—known and understood by scientists, legal professionals and the public. Finally, we recommended that the term “to a reasonable degree of scientific certainty” no longer be used in reports and testimony. No one knows what that means, and it’s easy to imagine a judge or jury misconstruing such wording. Understanding what forensic disciplines can and can’t do is vital information for any audience. To tell the truth, the whole truth, and nothing but the truth demands that the strengths and limitations of any procedure and result be made known and understood. Now that Sessions will not renew the NCFS, the progress being made in forensic science will slow, but it will not end. Due to the dedication of many unsung heroes in the forensic-science community, progress has been made since the NRC report was published, and momentum has been established. For example, the need for universal accreditation of forensic laboratories at all levels is generally accepted by all parties as vital now, as was clear in multiple presentations at the last meeting of the NCFS. But accreditation is an arduous process that requires time and money, two things most forensic-science labs do not have to spare. Without the necessary resources, it can’t happen despite best intentions. NIST has become central to further progress in forensic science. It’s established committees to develop standards for forensic practice; these groups do include independent researchers and academics, so that vital perspective is still being heard. However, there is concern by former commissioners that this enormous effort—by the community and by NIST—is in danger of losing vital funding and support. Ending the NCFS was a blow, but the loss of these committees and the wider participation of NIST and other scientists would be infinitely worse. The 2009 NRC report, along with a 2016 report from the President’s Council of Advisors on Science and Technology, is clear in this regard: The DOJ is not a science agency. Relying exclusively on the DOJ for reform is sort of like allowing admissibility based on precedent. Just because it was done this way in the past does not mean it’s the best way to do it now. We need a science agency—equally and completely free from both defense and prosecutorial pressures—to address the scientific issues in forensic science.